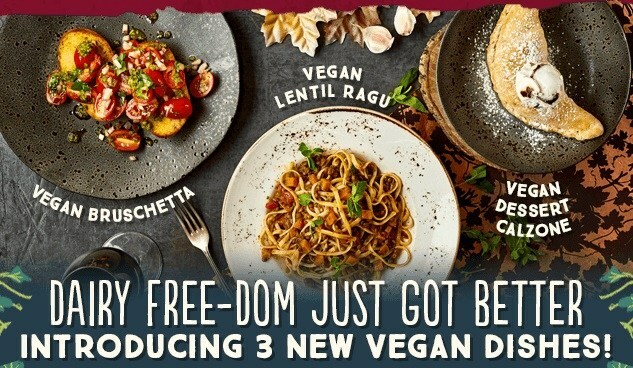 Zizzi’s is the high street restaurant chain that keeps on giving, as they add three more vegan dishes to their menu. 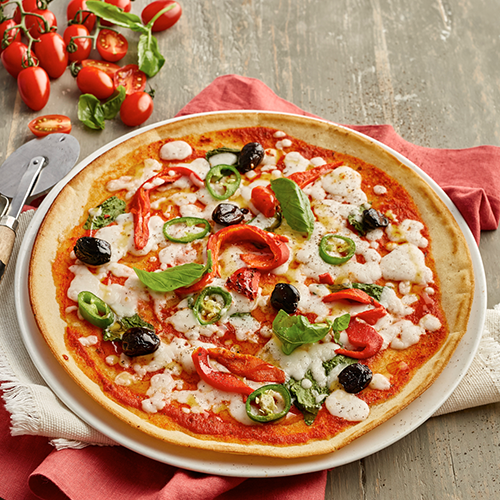 Zizzi recently hit headlines when they announced they were the first restaurant chain in the UK to provide vegan pizza options (which recently won PETA’s award for Best Vegan Pizza), that include a mozzarella alternative, allowing anyone who is dairy free or vegan to enjoy great pizza when dining out. They also added garlic bread and a wide range of vegan-friendly wines to make sure vegan diners were well catered for on their visits to the restaurant. And those with a sweet tooth weren’t left out either, as Zizzi also introduced a vegan-friendly coconut & mango swirl gelato to ensure no one who is dairy free ever has to miss out on dessert. But not content with stopping there, Zizzi’s have just added a whole host of delicious new offerings to their menu, including a bruschetta with baby plum tomatoes, red onion and roasted garlic marinated in extra virgin olive oil on toasted bread with super green pesto and fresh basil. Their new menu offerings also include a lentil ragu with linguine and fresh oregano, and a dessert calzone, which consists of warm sugared dough filled with banana, caramelised pecans and blueberries, served with coconut and chocolate ripple gelato. Are your tummies rumbling yet? You can view the full vegan menu here, simply select the ‘vegan’ filter on the left hand side of the page to view all the delicious vegan goodies they have on offer.